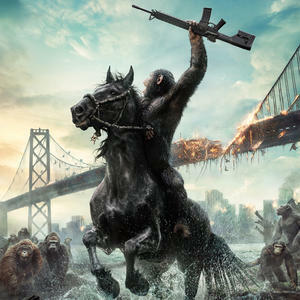 The Dawn of The Planet of The Apes is here and we were fortunate enough to get an inside look at how the movie was made. Enjoy. – George R. R. Martin, an American screenwriter and author of fantasy, horror, and science fiction. He is best known for A Song of Ice and Fire, which was adapted by HBO for their dramatic series Game of Thrones. – Robert A. Heinlein, an American science fiction writer. Often called the “dean of science fiction writers”, he was one of the most influential and controversial authors of the genre in his time. – George Carlin, was an American stand-up comedian, social critic, satirist, actor, and writer/author who won five Grammy Awards for his comedy albums.